Music Supervisor Profile is a recurring feature on Rollo & Grady where we interview the top supervisors in the business to learn their secrets and get valuable advice on how to break into world of music supervision. Some of our previous interviews have been with such heavyweights as Thomas Golubic, Gary Calamar, and Scott Vener. This month we interviewed the super talented Liza Richardson. Her resume boasts Hawaii Five-0 , Parenthood, and Friday Night Lights. Richardson selected over 600 songs in the 5-season run of Friday Night Lights. Some of the artists she included were Pearl Jam, Wilco, White Denim, Ryan Adams, TV On The Radio, Explosions In The Sky, Black Keys, and Bob Dylan. Her film work includes The Italian Job, Lords Of Dogtown, and Y Tu Mamá También, which was nominated for a Best Soundtrack Compilation Grammy. In addition to her work in television and film, Richardson worked on an IPOD commercial. The Texas native has also DJ’d for Southern California radio station KCRW 89.9 FM since 1990 and she was tapped to be the first DJ to spin for the Academy Awards ceremony in 2007. R&G: Tell me how you got your start in the music supervision business. Liza: There are a lot of people along the way that I got some great breaks from that I could point out, but the person who really gave me my start was Mark Pellington. He directed Arlington Road and I Melt With You. Back in the ‘90s, he was a big video director for MTV, and I, at the time, on my KCRW radio show, focused on spoken word and poetry. I would layer the spoken word with instrumental music, so I became super obsessed with finding spoken word as well as instrumental music and music of all different styles and types. Mark was doing a documentary on poetry, and somebody from MTV said to me, “You have to meet Mark Pellington. You guys are kind of kindred spirits.” They introduced us and he asked me to be a consultant on this documentary he was working on called, The United States of Poetry. Basically, we just sat there and went through music and I planned all these cool instrumental pieces. He said, “You know, people do this professionally. You should try to get into it.” Then he hired me again on his next project. The story goes on from there, but that’s how I got my start. R&G: What does your day-to-day job entail? Liza: It’s different every day. I just try to pay attention to what’s going on in music, whether it’s material I get in the mail or music I find on iTunes or online or on music blogs. I listen a lot to my fellow DJs at KCRW and take suggestions from my interns and assistants. I try to pay attention to “buzz” and see what’s currently happening. That’s pretty much daily, although there are days when I’m too busy with other crap to pay attention, which is unfortunate. I think spending as much time listening to music as possible is pretty ideal for the job. You not only have to listen to the music: you have to know it; you have to learn it; you have to make notes. I make lyric notes in my song fields on all my mp3s so that they’re searchable. The more time I spend doing that the better, but I do spend a great deal of time on the phone negotiating and making deals. R&G: What’s the process of getting the scripts and selecting music for the shows you are working on? Liza: Usually at the beginning of a season, I am reading all the scripts. As the season goes along, I don’t find that it’s necessary to read them as much. I really really should, but if something’s going on in a script that I need to know about, the post-supervisor or the show runner is immediately calling me and going, “Okay, what should we do for this?” and then I’m up to speed. I find that a lot of the things that are scripted don’t end up in the final mix. I’d say probably 90% of songs that are scripted never see the light of day. So, I don’t put too much stock in what’s scripted, unless it’s a visual vocal of course or something they need on the set; then you have to totally deal with it. I usually wait until post-production to get most of my work done. Every production is different. On some shows, every single scene that needs music, except for score of course, they send me a Quicktime and I send them back my choices. Sometimes it doesn’t work like that: on Parenthood, we have a certain number of pieces of music in each episode that I approve of and provide to the editors. My reasons can be that I think it’s great or current or that it’s affordable or that it’s not a dangerous piece of music. 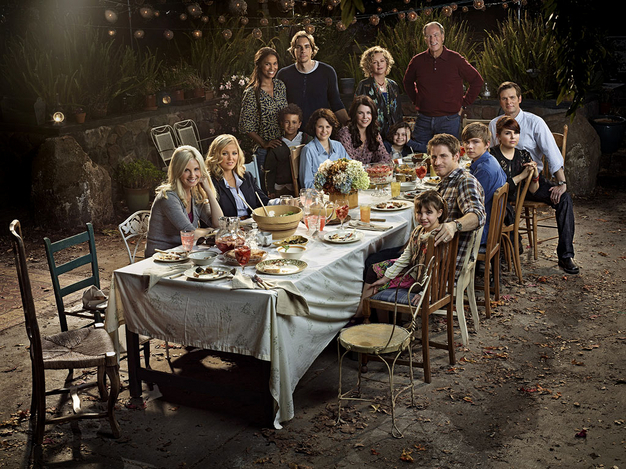 On Parenthood, for example, I give them huge amounts of music periodically throughout the season and then when the editor’s working late at night and they don’t want to bother me or whatever they can cut something in. If it works, great, and if not, they move on. R&G: On Parenthood and Friday Night Lights you’ve placed songs by Pearl Jam, Black Keys, Flaming Lips, Bob Dylan, and Run DMC. What’s your secret for placing big time bands? Liza: With Friday Night Lights, we had an incredibly interesting set-up that I’ve never had on anything else, because we used so much music and, yeah, a lot of huge titles. First of all, the Parenthood music budget is really good. 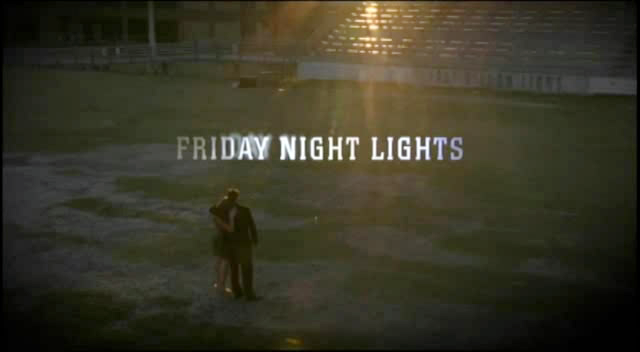 On Friday Night Lights, we did two-year terms, which is hardly anything in the world of licensing. If we had licensed songs for perpetuity, we would never have been able to afford all that music. The two-year term covers the broadcast on NBC and Direct TV and I think that’s it. All of the music gets replaced after the two-year term, so anything that lives on beyond two years – like on DVD, gets replaced. R&G: What’s your best advice for someone trying to get into the business as a music supervisor without previous experience? Liza: I get that question all the time and I think everybody has their own path, but I would say working for another music supervisor is the best way to get your start. If you can get a job with a music supervisor you will learn more in three months than you will in a class. Working for a music supervisor is a great way to get the lay of the land and see what it takes and see what the different aspects of the job are. You can also work for a music publisher. You can volunteer to do your buddy’s student films or your buddy’s no-budget films. Any way possible of getting involved is good. I am always passing documentaries and various projects that come my way to my assistant and to my interns for them to do. That way they are building up their resumes and learning the ins-and-outs of the business. R&G: How do you choose your interns? Liza: When I meet somebody, I put the word out there that I’m looking for interns. I don’t want to get bombarded, because I don’t have time to do a million meetings. From resumes and recommendations from friends, I’ll choose five people to interview. Then I’ll pick one usually based on vibe. I normally pick people to interview that have some experience, so the final choice is usually based on chemistry. It’s like how you choose a lover: you hit it off or you see eye to eye or you can trust that person. The problem is that oftentimes you like all five people. Sometimes I just close my eyes and do it [laughs]. R&G: What’s the best way for independent or unsigned artists to get on your radar? Liza: I hate to say it, but to cold call me probably isn’t the best way because I don’t have a reference for it and I don’t have time to listen to a ton of blind emails from bands I’ve never heard of. The best way to get on my radar is to be a great band and to get somebody excited about you. I try to pay attention to what people are digging. My job as a music supervisor is to try to discover things, but it’s not just that; it’s also keeping track of what people like. There are, however, times when I come across something randomly. I don’t even know how it happened and I’m just blown away and I haven’t heard of it and I don’t know anybody who knows it. There are just so many different ways that things get into my heart. There’s no set way. This entry was posted	on Thursday, September 8th, 2011 at 4:43 am	and is filed under Interviews, MUSIC SUPERVISOR PROFILE, Music Biz, Uncategorized. You can follow any responses to this entry through the RSS 2.0 feed. You can leave a response, or trackback from your own site.